Guest Kevin Hiatt is the CEO and President of the Flight Safety Foundation, an independent, non-profit, international organization engaged in research, auditing, education, advocacy and publishing to improve aviation safety. The Foundation’s mission is to pursue the continuous improvement of global aviation safety and the prevention of accidents. Before joining the Foundation, Kevin was the Vice President for Corporate Safety and Security at World Airways, and before that Kevin was with Delta Air Lines for 26 years in a variety of positions, including Chief Pilot at the Atlanta International Pilot Crew Base. We talk about the Asiana Flight 214 accident, how airliners have become more safe and how they might be made even safer. We touch on the dependency on automation, video capture in the cockpit, recording radio transmissions at small airports, upcoming Foundation events, drones in the airspace, and more. Also, Kevin tells us about the new Legal Advisory Committee and the Safety Protection Task Force, seeking to protect the data from an accident so it is used only to improve aviation safety, and not as evidence in criminal court. See the Flight Safety Foundation on the Web, on Twitter, and on Facebook. Video: Unmanned X-47B Makes First Carrier Landing – Very Successfully! Several times each year, in cities all around the country, the Civil Aviation Safety Authority (CASA) conducts open briefings for pilots and other interested parties which cover all the latest updates on rule changes, legislative changes, policies and so on. On the night of recording, Grant had just returned from one such briefing and brings us a report on what was covered. Of particular interest was the proposed changes to pilots licenses which, among many other things, will allow CASA to directly license “recreational” pilots with a license similar to the US sport pilot license. We discuss how this change might affect the current issuer of these licenses, the Recreational Aviation Association of Australia, which is in a poor state at present. In other news, Qantas has announced that it is looking very carefully at the latest fire related issues affecting the 787 fleet, with delivery of its own Dreamliner airframes not far away. 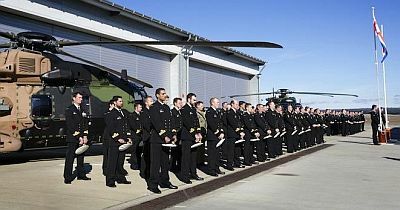 The Royal Australian Navy has formally commissioned the new fleet of of MHR-90 “Taipan” helicopters, and reactivating 808 Squadron in the process. This week we look at the UK Airshow circuit after the loss of the US attendees through sequestration. It appears that the attending displays have stepped up to the challenge. 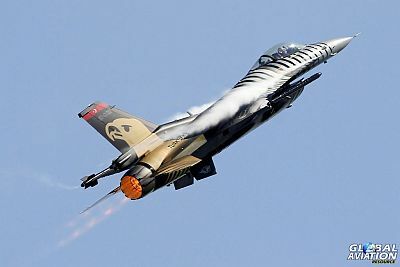 Pieter discusses with Gareth Stringer, if the UK and Europe are being spoilt by the momentous displays being put on by the display pilots, an F16 Shootout and the RAF Typhoon burning up the skies. (We also wish we could bring David over as he would surely enjoy the spectacle). Dust Up on Facebook and Twitter. Tony Fletcher photos from the trip to IAD. This entry was posted in Episodes and tagged accident, Asiana, safety, UAV, X-47B UCAS on July 17, 2013 by maxflight. In this latter accident the investigation deduced that the co-pilot could not bring himself to point out that the aircraft was on an incorrect course. This was because in Korean culture, authority derives absolutely from seniority, to the extent that individual Koreans have no personal decision making capability and may willingly defer to dangerously incorrect decisions.